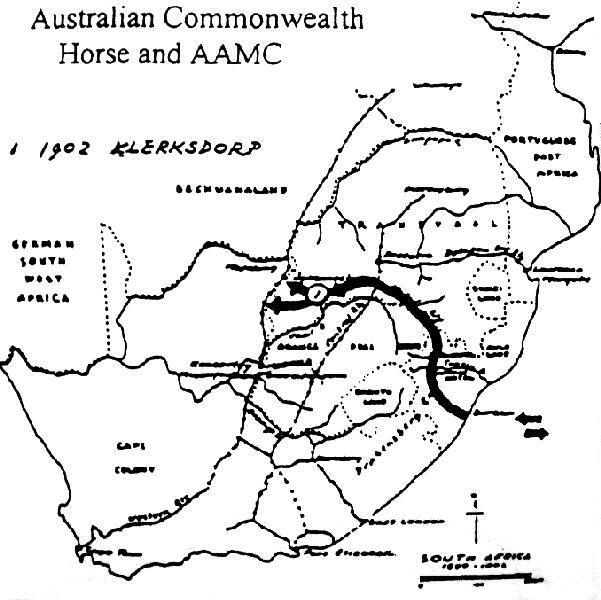 Map illustrating the activities of the Australian Commonwealth Horse in South Africa, 1902. Murray, P. L., Official Records of the Australian Military Contingents to the War in South Africa, p. 522. 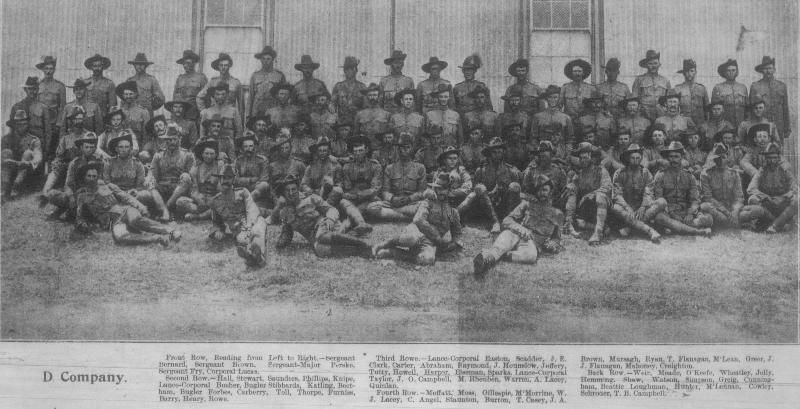 First Australian Commonwealth Horse Queensland Unit. Constituted "D" Company of the 1st Battalion, Australian Commonwealth Horse, consisting of three companies New South Wales, one Queensland, and one Tasmanian. For details of establishment, pay, clothing, and equipment, &c., vide 1st Australian Commonwealth Horse (New South Wales), p. 166. The Queensland officers of regimental staff were Lieut: Colonel J. S. Lyster, commanding battalion, and Captain J. Gillies, Army Medical Corps. The company was short of one officer, in consequence of the resignation of a subaltern before embarkation. Many of the N.C.O. 's and men had served in previous Contingents. The company left Brisbane 26th January, 1902; Sydney (with New South Wales Contingent), 18th February, 1902; with 7 officers, and 116 others; 124 horses. Of these, 1 officer resigned, 2 privates died, 1 officer 37 others were struck off in South Africa; 5 officers, 77 others returned. This battalion proceeded on 19th March, 1902, by train from Durban to Newcastle, and thence to Klerksdorp on 10th April, arriving at the latter place on the 13th. Joined Column under the command of Colonel De Lisle, which formed part of Thorneycroft’s brigade. This Column was inspected by Lord Kitchener on 22nd April, who expressed himself as pleased with the appearance of men and horses. The Column was employed clearing the district north of Klerksdorp, and took part in a drive which commenced on 7th May, moving westward to the Kimberley - Mafeking railway blockhouse line. In this, 251 prisoners, including General De la Rey's brother, were captured, also 300 horses, 144 rides and bandoliers, 6,000 rounds ammunition, and a large quantity of stock. Colonel De Lisle, who was leaving for England, handed over his command to Colonel Williams. The Column then returned to Klerksdorp, reaching that place on the 21st May, where the regiment remained until the declaration of place, when they were ordered to Elandsfontein to prepare for return to Australia. The regiment proceeded by rail to Newcastle on 29th June, and to Durban on 9th July, for embarkation. “As there is a considerable proportion of new troops in the command, the General Officer Commanding Mobile Columns, W.T., thinks that Column Commanders would do well to explain to them that the General Officer Commander-in-Chief is not in the habit of bestowing indiscriminate praise; and that, on the contrary, the compliment which has been paid this force is a very rare occurrence." The Company embarked at Durban on 11th July, 1902, in transport Drayton Grange; touched at Albany, 30th July; Melbourne, 7th August; Sydney, 10th; Brisbane, 13th. Disbanded on 19th August, 1902. Murray, P. L., Official Records of the Australian Military Contingents to the War in South Africa, pp. 523 - 525. The Roll of Honour contains the names of all the men known to have served at one time with the 1st Battalion Australian Commonwealth Horse Queensland and gave their lives in service of Australia, whether as part of the 1st Battalion Australian Commonwealth Horse Queensland or another unit during the Boer War. The men comprising the Queensland unit of the Federal 'Contingent, except those; who had left on Friday with the horses, departed from Roma-street Railway station for Sydney yesterday morning by train for the purpose of being mobilised with the other units of the first battalion. It is significant of the despatch of these contingents for South Africa that hardly less enthusiasm was evoked over the departure of this last contingent than there was over the first. Notwithstanding the very early hour - 6.45 - there was an extraordinarily large crowd to say farewell to this - the first contribution of united Australia. Perhaps some additional interest was given to the occasion from the fact that Lieutenant-Colonel Lyster, who for so many years was Chief Staff Officer and Assistant Adjutant-General, and at times Acting Commandant In connection with tho Queensland forces, was also taking his departure for the purpose of assuming his new command as head of the first battalion of the contingent. The Premier (Hon. R. Philp) gave evidence .by his presence of his sustained interest In the contingents going to and re- turning from South Africa. There was also a large muster of officers of the Defence Forces, Including Lieutenant - Colonel the Hon. A. J. Thynne, M.LC, Lieutenant Colonel Ricardo. Lieutenant-Colonel Aytoun, Captain Creswell (Naval Commandant), Lieutenant-Colonel Byron, Lieutenant-Colonel Thomson, P.M.O., Lien« tenant-Colonel Irving, P.V.O., Major Sellheim, D.A.A.G., Major Spencer Browne, Major Plomer, Acting A.AG, Major J. W Green, Captain Webb (Adjutant), Captain Lewis, Captain Sir Stewart Richardson, Captain Hesketh, Captain Echlin, Captain Coxen, Captain Parker, Lieutenant Maddock, Lieutenant Harte, and many others also Mr. E. H. Macartney, M.L.A. 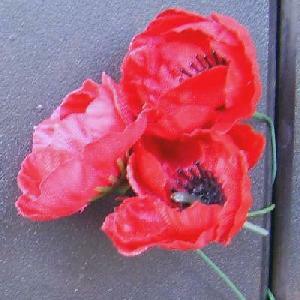 After an opportunity had been given to friends to say good-bye - and there were a number of women moved to tears at the parting - Lieutenant-Colonel Lyster called for cheers for Mr. and Mrs. Philp, which were must heartily given. At once tine men entrained and as the carriages were drawn steadily from the platform scores of hands gave a parting grip, and a hearty and sustained cheer went up from the crowd of spectators. A matter that called for some comment was the fact that the men were sent away in the dungaree suits in which they had been working at the camp, and the public were deprived of the sight of the contingent in the familiar khaki and hats. It was currently reported that the reason for this was that the suits were not ready, and it was said, moreover, that the men were sent without their greatcoats (which were not finished), and also without blankets. At any rate, the fact that the dungaree suits and white felt hats were worn was regarded as proof that the preparations had not been sufficiently advanced. This fact is taken as an additional reason for the objection which the Premier has offered all along to the men being sent overland. Previous to departure the Headquarters Band, of which he was for many years commanding officer, presented Lieutenant Colonel Lyster with a handsome Whisky flask, suitably inscribed. It is also worthy of note that no less than twenty-five of the twenty-seven members of the band put in an appearance.